The Best Place to Hide Your Holiday Gifts? Your Vehicle! It’s hard to make something great even better, but Kia did when it added a 201-horsepower turbocharged engine to one of its best-selling, most-iconic and most beloved vehicles. Fans of the Soul had long lobbied for a little more zip in their favorite ride and the 2017 Soul Exclaim didn’t disappoint when it was revealed to media today. 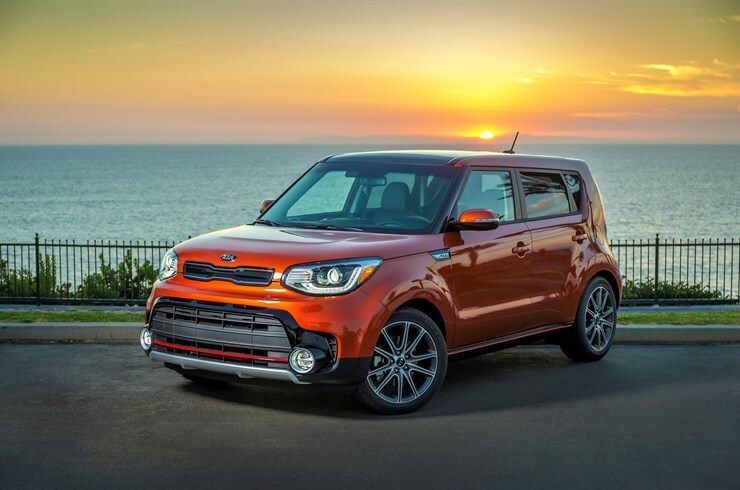 Though the 1.6-liter turbo engine adds 40 horsepower, fuel economy is 28 miles-per-gallon, city and highway combined1—slightly better than the combined mileage of the 2.0-liter normally-aspirated 161-hp engine in the Soul Plus and in the Soul Base 1.6-liter, which produces 130 horsepower. Performance in the turbocharged Exclaim is further enhanced by the addition of a new 7-speed Dual Clutch Transmission (DCT), which, via quicker and smoother shift points and no shift shock, makes for more dynamic acceleration and contributes to a more engaging driving experience. In addition to the turbo engine, the Exclaim includes specialized trim and sportier features, including: exclusive 18-inch wheels; red-accented body trim; chrome grille surround, unique Soul tailgate badge; and, for the first time on Soul, dual chrome twin-tip exhaust. The Exclaim also gets a standard leather-wrapped, D-shaped steering wheel, pushbutton start with smart key and UVO32 with e-Services with integrated Android Auto™3 and Apple CarPlay ™4 . A thumping 315-watt Harman Kardon® 5 premium audio system with eight speakers, including a center channel and subwoofer, navigation and 8-inch touchscreen display is also available. Other new options for the 2017 model year are convenience systems such as Rear Cross Traffic Alert and Blind Spot Detection are also available6. The 2017 Soul is available in three trim levels: Base with manual or automatic 6-speed transmission; Soul Plus with the 6-speed automatic; and the Exclaim turbo with the new 7-speed DCT. There are also two new exterior colors. Redesigned headlights and fog lights, along with front and rear fascias lend a more aggressive appearance while two dedicated USB charge ports and an available 8-way power passenger seat add convenience and comfort. You can follow Everyman Driver on our Instagram account. Wanna support the production of our weekly videos! Sure ya do! We’d appreciate it!! !